While our roots may be in entertainment media, Troika has some highly-dedicated gamers on staff, and quite a few casual fans of RPGs and mobile games as well. 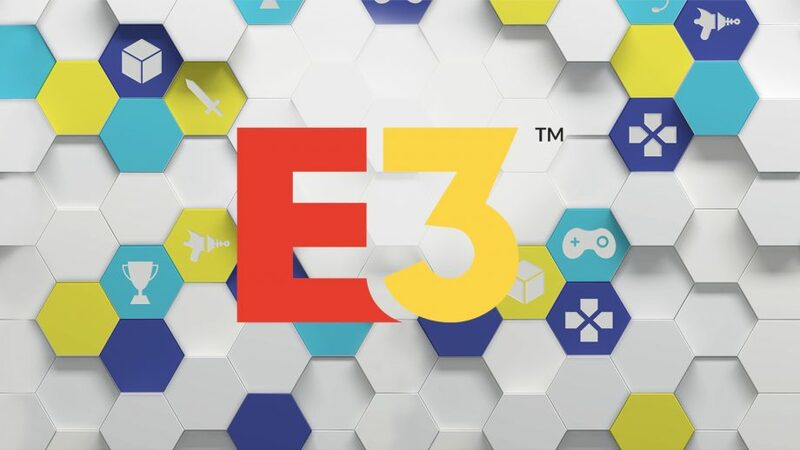 Not surprisingly then, several members of Team Troika attended the E3 Electronic Entertainment Expo here in Los Angeles. This was my first time attending the event, and I found myself quickly overwhelmed by the volume of activity. Luckily, Troika Producer Ben Nelson and Associate Producer Justin Anderson were there. They helped me prioritize the experience, cut through the noise, and process all the messaging. I got a chance to sit down and talk with them about the event afterward, and want to share some of their insights and trends we observed that all brand and marketing professionals in this space should note. Was this your first E3? If not, how many have you been to? BN: This was my first visit to E3, but I have followed it online for ages. JA: This was my second E3, but I have been watching it online since I was 12. Justin, what did you notice was different this year from last year? JA: It was a little more sprawled out then before. Microsoft and other companies had their own thing away from the convention center floor. They also changed the layout this year. Companies are trying to make bigger and better things to be louder than the companies next to them. What were some noticeably new industry trends this year? BN: Switch for Nintendo had a bigger presentation than before. 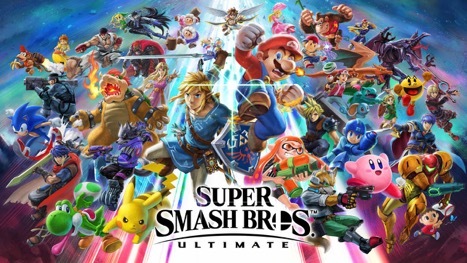 The last few years they had one game, Smash Brothers, which they based their whole presence around. I was surprised by how many Switch-based kiosks there were. JA: Last year was really focused on what was coming out in 2017. I felt like this year was much more about covering the long term. More stuff that would be coming out in 2019 or 2020. A lot of games were announced that were just logo and no gameplay – literally saying ‘we’re just starting this. I also think it’s really interesting to see people coming up with different revenue models. Gone are the days of just buying like the $50/$60 game and being done with it. BN: Is it free to play? Or pay to decorate? Or pay to accentuate? JA: Essentially, everyone is trying to come up with the best way to customize their character, and gamers are kind of sensitive to notorious business practices. Like the ‘pay to win’ model. Like ‘I’m going to pay $5 extra dollars to get the special gun that nobody else has so I can kill people faster.’ That’s really frowned upon. So even though a lot of companies probably want to do something like that, they are trying to come up with very creative ways to monetize without offending the community. Like what occurred with Star Wars: Battlefront 2? 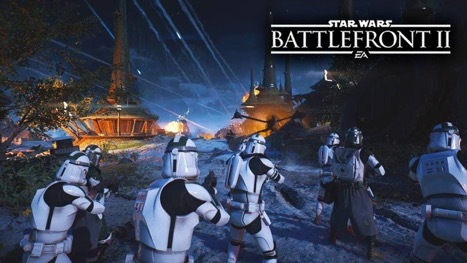 JA: It’s interesting (with Battlefront 2) that they quickly came out with a press release where the lead developer of Battlefront 2 came out and said ‘We screwed up. We’re sorry.’ They were openly very honest about listening to the community and try to grow the game. What was your biggest surprise at E3 this year? BN: I realize that there is a much more corporate industry tone than just a fan appreciation vibe. Is that how you felt about this year’s event? JA: This one struck a balance between the two. BN: And [E3] dividing the days was pretty smart. JA: The first two days were half industry and half gamer and then Thursday was the all gamer day. It helps to bridge the gap with fans being involved. What game release are you now most looking forward to after E3? JA: Cyber Punk 77 by CD Project Red. They are a developer that is really interesting to look at because they are still old school and gamer focused. They are one of the remaining developers that have no micro transactions. You buy a $60 game and they make it worth the cost. JA: Micro transactions within the game are like ‘I’m going to pay 99 cents for this (special edition) hat.’ Just little things. ‘DLC’ is downloadable content which gives hacks to your character or add-ons to your game. Like the zombie add-on for Red Dead Redemption? BN: Smash Brothers would be mine for the immediate future. I’m still interested in Death Stranding. Also, The Last Of Us 2 was revolutionary stuff. The smoothest animation I have ever seen. I couldn’t tell if we were watching a trailer or watching game play. What was your biggest disappointment at E3? BN: Metroid Prime 4 was my biggest disappointment. They’ve been working on it for 18-24 months. They showed the logo last year but they still didn’t show any game play this year, which was very disappointing. JA: This is both a plus and a disappointment: Sony is really strong in that they have all of these exclusive games and studios that they own and develop exclusively for PLaystation. And while XBox is putting a lot of effort into their first party lineup, XBox and Microsoft have kind of been lacking in [exclusive development]. So both announced five new purchases of studios, which is a plus, but I’m disappointed we won’t see any [developments] until about 2020. What do you think is the next step for eSports? JA:Fortnite is a big game to look out for. 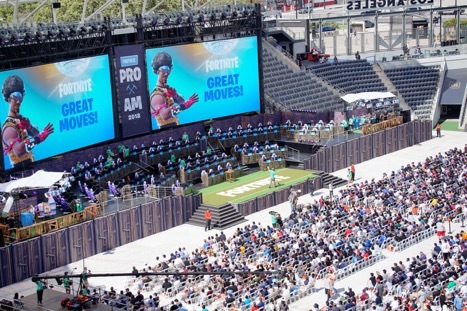 Fortnite held a Pro-Am at the new LA Soccer Stadium and it got more attendance at that event than they did on the entire trade floor at E3. It’s immensely popular. You have popular gamers like Ninja, who won the Pro-Am with Marshmellow, one of the most popular DJs in the world. Ninja [also] streamed with Drake a couple of months ago. It’s definitely a game to look out for. They’ve done a really good job of being super community focused. It has a ton of micro transactions but no one has ever complained that they thought it altered the game. Epic Games has announced that they are building in $100 million in prize money to their first year of competitive Fortnite, which is significant because it’s more money than anyone else in the field right now. Plus, their eSports center is based on merit and not buy-in. Fortnite is taking a gamer-first, community focus-first approach, which I think will make them a force to be reckoned with. Do you think the future of the industry will trend towards offsite events? JA: Yes. You’re competing for time, interest, and attention. EA has their own thing (EA Play) before E3 even starts, which allows them to control their messaging and control the environment and make [the conference] their own thing. It’s purposely not even at the same time as E3. Then you have Microsoft having the advantage of having their own stage at LA Live, and they can use that space and decorate it any way they want and aren’t competing with anyone else. And then there’s the Fortnite experience. So [the effect of the conference] expanding beyond the trade floor. Lets end this interview on a fun note: If you had to be a videogame character, who would you be and why? BN: Mario. He gets to do the biggest variety of activities. (Laughs) . Golfer, soccer player, he parties, he’s a fighter. Plus he’s more recognizable the world over than Mickey Mouse. JA: Commander Shepherd from the Mass Effect franchise. I get to fly a space ship and I can customize what I look like. Thanks for your insight, guys. Ryan Beeman is the Sports and Entertainment Practice Director at Troika Media Group, covering eSports and gaming entertainment. Troika has created successful campaigns for gaming and eSports clients, including EA Sports and Riot Games. When he’s not at work, you can find him sitting beachside with a good book, watching live music or sports (preferably the Texas Longhorns playing any sport), or binge watching 90210 re-runs. Contact Ryan at Ryan@troikamedia.com. Feel free to follow him on Instagram at @youvegotbeeman.